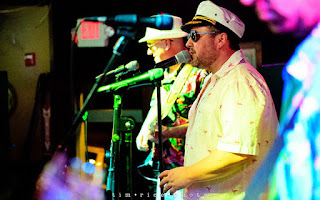 THE BLACK BOX will present “Yacht Rock Night in Port Franklin” on Friday, October 26 at 8 PM. The night will be a West Coast celebration of light rock from the late 70s and early 80s. Musical tributes to the likes of Michael McDonald, Toto, Starbuck, Steely Dan, Kenny Loggins and more with three local powerhouse supergroups - Captain and The Stubings, Nantucket Sound Machine and Sal Mon Pink and The Champagnes. Being close to Halloween, costumes are encouraged (just give "Yacht Rock" a quick google search for ideas). There will be prizes for best costumes and more fun and surprises. Tickets for “Yacht Rock Night in Port Franklin” are available at www.theblackboxonline.com or by calling the box office at 508-528-3370. Doors open at 7:30 pm. You can follow THE BLACK BOX on Facebook, Instagram, and Twitter. THE BLACK BOX is located at 15 W. Central St. Franklin, MA.